Well, the thing is, the Lancet study does show statins are effective. One of his gripes was that, in the Appendix to the Lancet paper, five studies were not specifically of age-75 phenomena. Not only is this true, but the paper itself mentions it in the SUMMARY right at the beginning! He goes on to criticize the paper for similar "problems" with other study elements. "14 483 (8%) of 186 854 participants in the 28 trials were older than 75 years at randomisation, and the median follow-up duration was 4·9 years. Overall, statin therapy or a more intensive statin regimen produced a 21% (RR 0·79, 95% CI 0·77–0·81) proportional reduction in major vascular events per 1·0 mmol/L reduction in LDL cholesterol. We observed a significant reduction in major vascular events in all age groups." In plain words, that the drugs are effective as described. Now, let's hit some of his conspiracy stuff. He dislikes that there is substantial pharmaceutical industry funding in the studies. 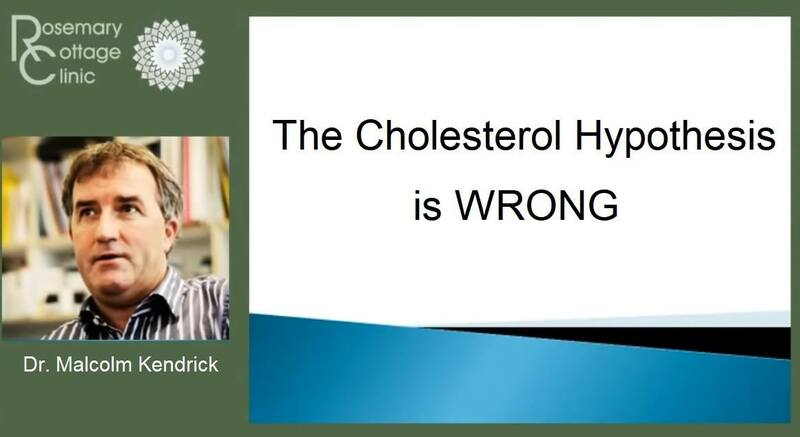 He says that the consortium of cholesterol researchers is hopelessly biased, without offering evidence. Superficially, one might agree - "Well, look at all that Big Pharma money." The reality of the funding is as he describes. And it is generally that way with drug studies. Why? The regulators (FDA, etc.) say "Show us evidence of efficacy, and evidence of low potential for harm." And that is expensive as hell. But there are standards for assessing such studies. The regulators look to see that there are enough participants, that the studies were well designed, and that they substantiate the claims of the drug maker. Statins have withstood these tests. They are well tolerated and produce meaningful reductions in bad vascular events. In the case of this Lancet paper, they looked at twenty-eight other studies. Each was relatively large, and ran over a significant amount of time. This scientific data holds up. And we follow the money. He is... surprise - selling supplements! An Internet supplement salesman, of the Mercloa/Naturelnooz ilk. There's more: he's selling books. Books which - oh, yeah - tell us that the statin people are wrong. Look at the tie-ins. The same link has that bogus "Harvard immunologist says vax bad" link that you posted earlier. They interlock. And you see one of their things on someone else's site. Repetition! It *must* be right - I keep seeing it in different places! And you say "You need to wake up Mark. There are a lot of sources for this. I just post one!!!" But it is wrong. Their rendering of the Lancet article is wrong. They simply misrepresent what is happening, and nowhere do they dispute the actual science of the real article. They pitch that fine old standby, Fear. As they train up more people to be fearful, they create more customers for - Internet supplement salesmen. If cholesterol lowering statin drugs don't help, what DOES cause blood clots that give someone a stroke or heart attack? Is there a way to deal with that? My doctor says my blood clots have been caused by my cholesterol being too high. Very well said. I wish all comments were as knowledgeable and clearly stated as yours. Thanks! Further, by not helping to put calcium where it belongs lacking K2 to activate the process, a high calcium level will occur. A high calcium level impairs cell permeability. That means glucose and insulin cant then efficiently enter the cell which then increases the blood levels contributing further toward hyperglycemia and type 2 diabetes conditions. https://www.ncbi.nlm.nih.gov/pubmed/16249463 Lacking K2 would therefore allow excess calcium and why statins can then also can contribute toward diabetes. A low chromium and certain fats that impair cell permeability also can contribute. Calcium loses all its beneficial qualities and becomes displaced, insoluble (hard), and harmful to the body when there is not enough magnesium present in relation to calcium that helps regulates it with some K2. Too much calcium in the mitochondria of the cell and it dies, too much in arteries lead to plaque buildup.